I finished this beaded initial wreath a few weeks ago using mostly just what I had lying around the house. I like to make wreaths with a styrofoam base because you can easily remove the decoration from them, in this case my fabric pieces, and therefore, change the entire look of the wreath throughout the year. 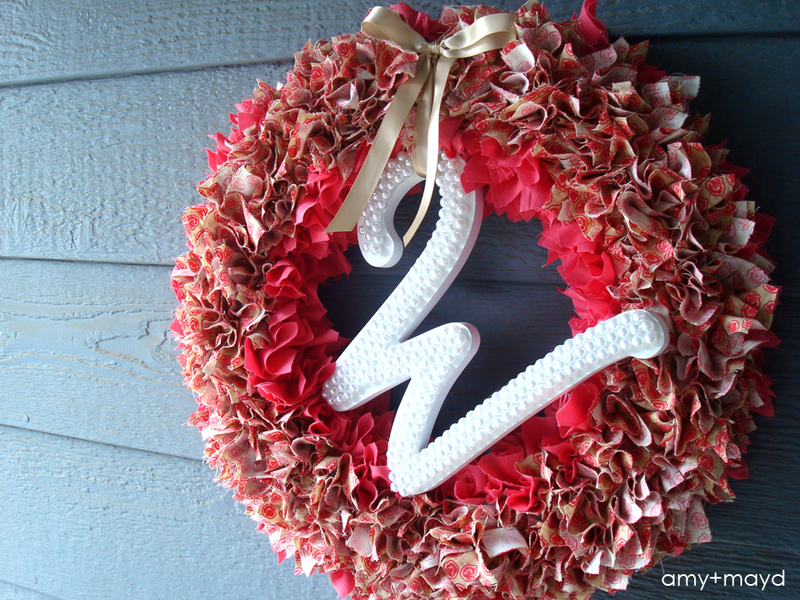 Fabric piece wreaths are sooo easy and have millions of possibilities. Simply cut about 2 yards of your choice color fabric into 2″ squares (just eyeball it you don’t have to measure! ), in this case I used pink and a pink floral pattern, and use a small screwdriver to meticulously poke the fabric into the styrofoam wreath base… kind of time-consuming but it is a project you can easily put down and come back to. 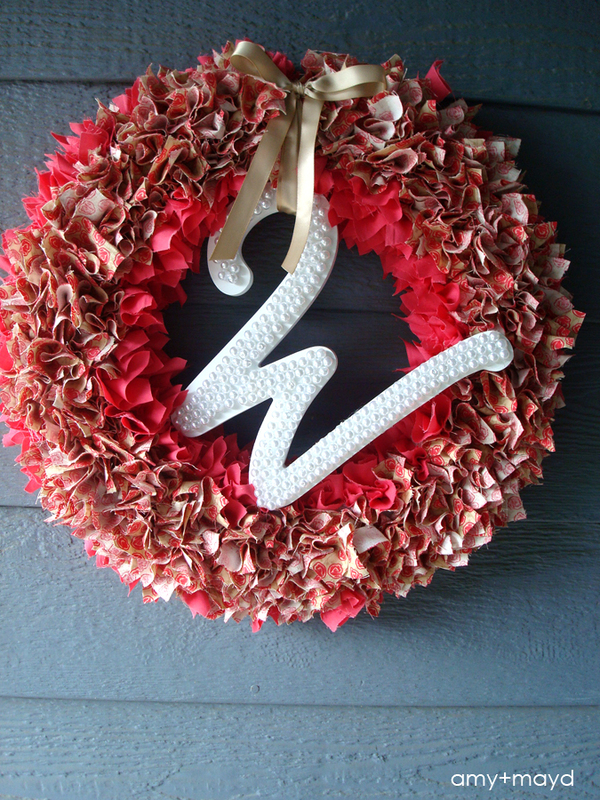 I bought this “W” initial for a wreath in our entry way around Christmas time but got caught up with other crafts so it sat around for a few months. Glad to report it is now being used to create a welcome feeling at our front door. I simply glued a ton of pearlized beads, using hot glue, all over the initial and tied it to the fabric wreath with a ribbon. This is a great, stress-free weekend crafting project!